When did this happen? High school has put inches on my girl. 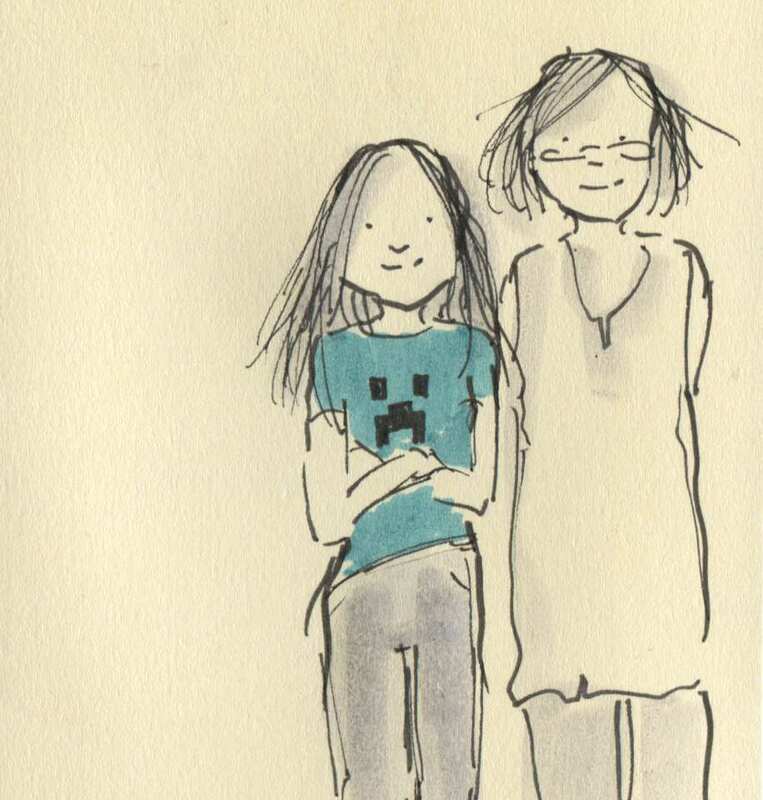 Posted on September 27, 2014, in Uncategorized and tagged Children, Doodlemum, Drawing, Family, Humour, Illustration, Life, Pen and Ink, Sketchbook. Bookmark the permalink. 6 Comments. OH yes. And just wait – it will be a few years, but one fine day Gruff will start gleefully patting you on the top of the head. It happens to all parents, rejoice, be flattered, you once did the same. Congratulations. Another couple of minutes and she’ll be a gobby teenager. Think yourself lucky (and tall)- when my daughter was 11, she already towered over me!